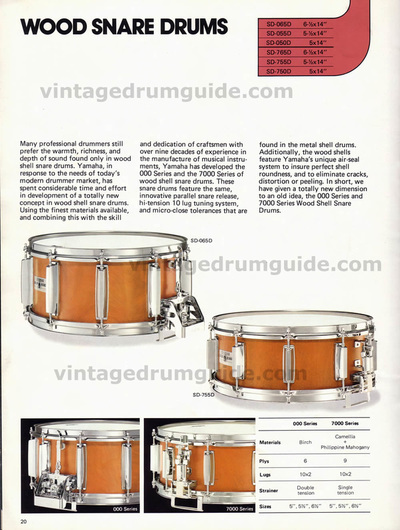 One of the most popular snares of the era (and most recorded of all time: Bonham, Lynch, Gadd...), this versatile drum was widely available in hired gear. Carly's high & dry tuning (and sometimes playing with snares off), gave his 402's a distinct reggae sound. 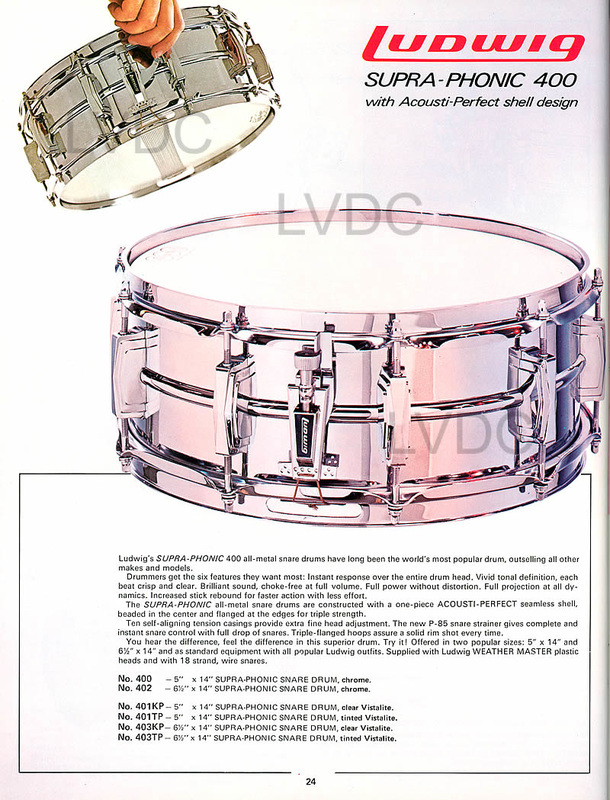 The 402 has a thin, seamless aluminum alloy, chromed, beaded shell. 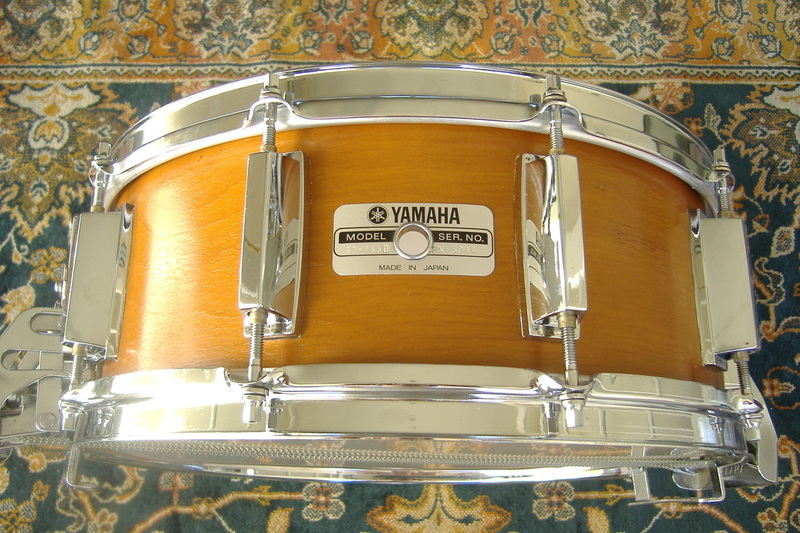 It is naturally dry and articulate, has a high pitched fundamental tone, but speaks with depth as well. 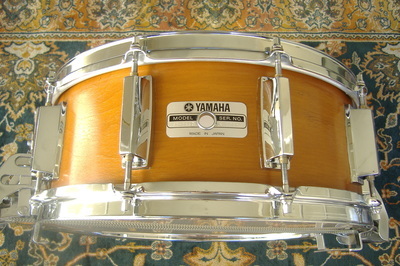 The 402 has a high pitched cross-stick sound, and unique rimshot- a lovely distorted midrange 'honk' with harmonic pingy overtones, but very fast decay (unlike most snares where rimshots sustain for a full second or longer). 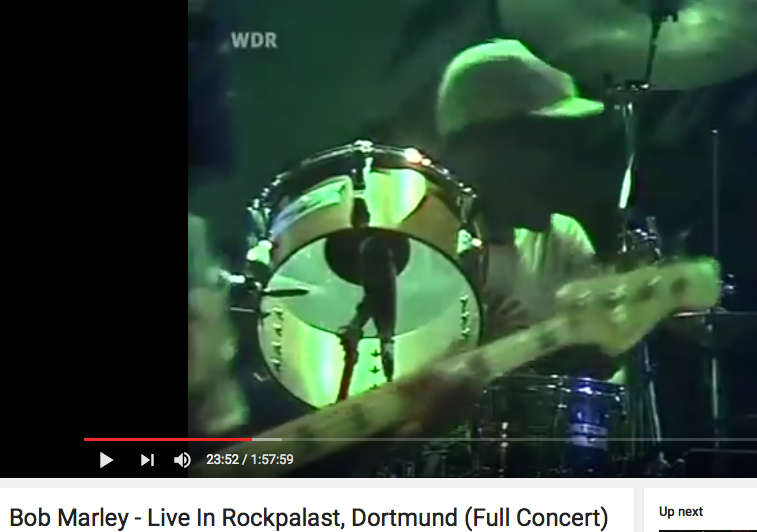 Tuned high, this provided Carly's trademark rimshot & cross-stick. 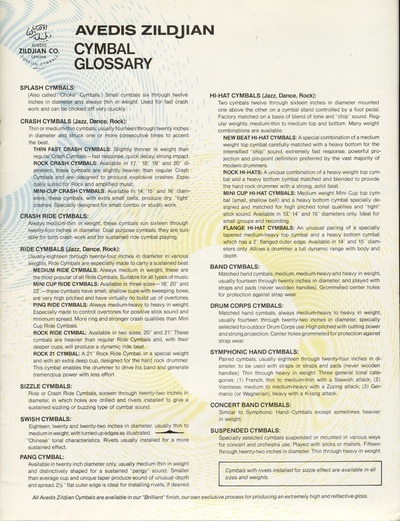 Carly used this with most of his kits, whatever their brand. 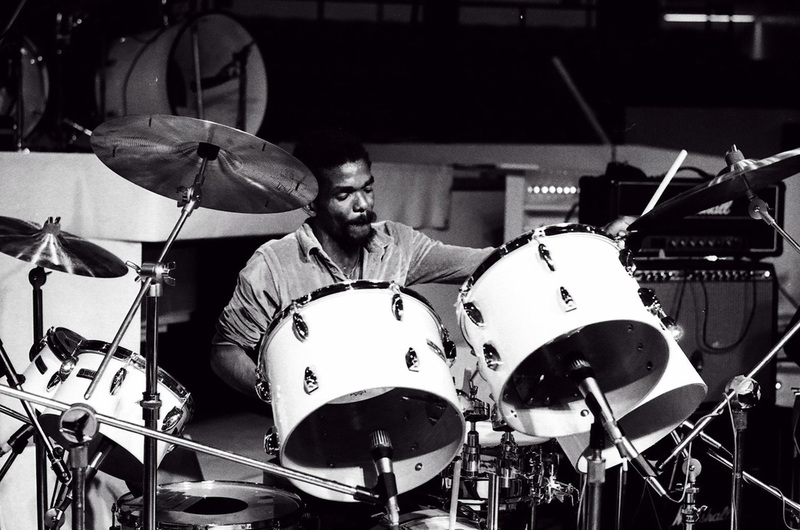 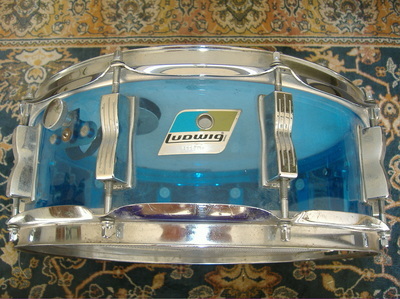 Live circa 1980 (above photo): Note the Ludwig 402 snare (despite the new Yamaha drums), and Zildjian hollow-logo riveted 18" crash *(which was sold at auction in 2013- below). 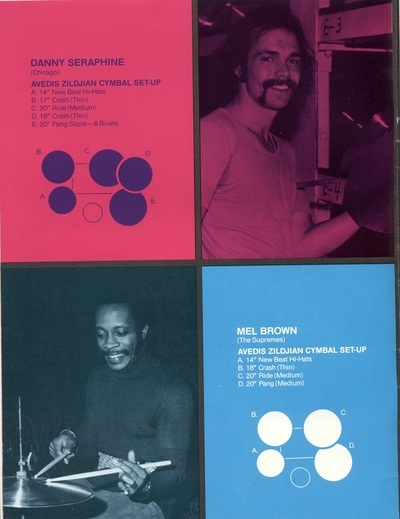 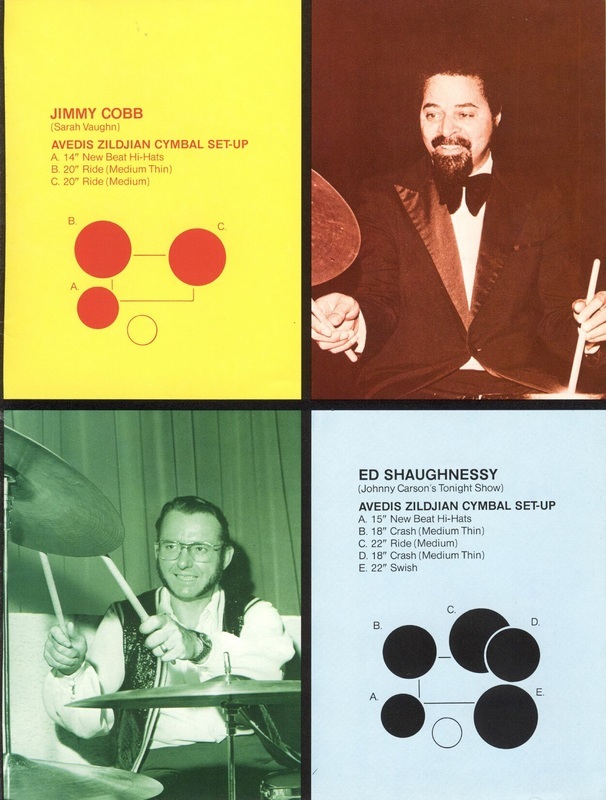 ​In the 1970's, the available variety and consistency of cymbal selections were more limited than today's boutique market. 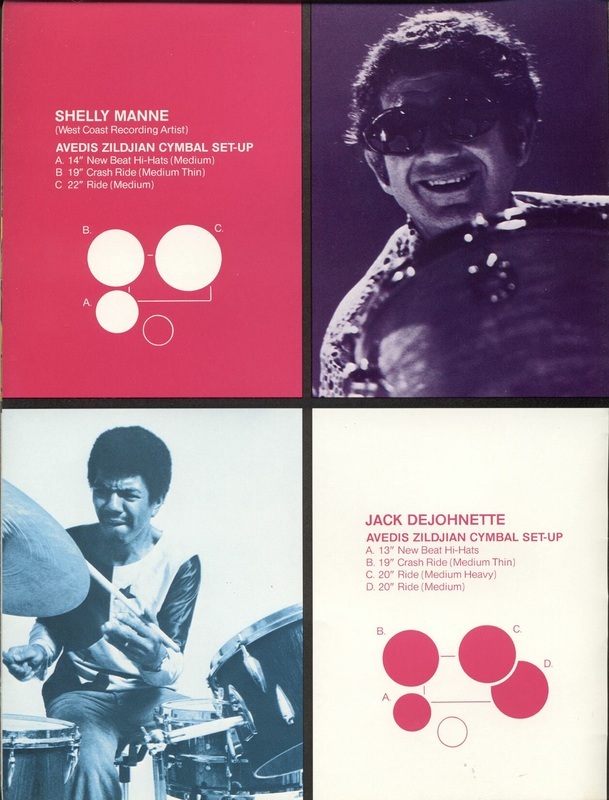 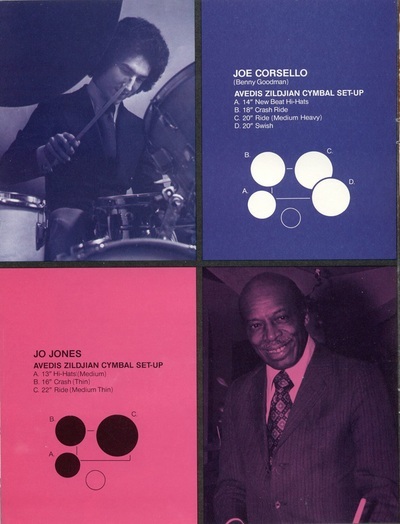 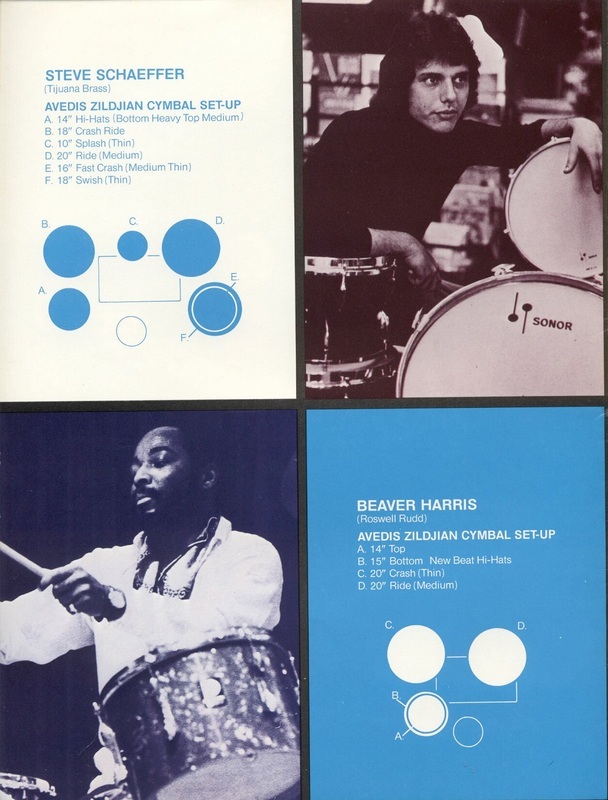 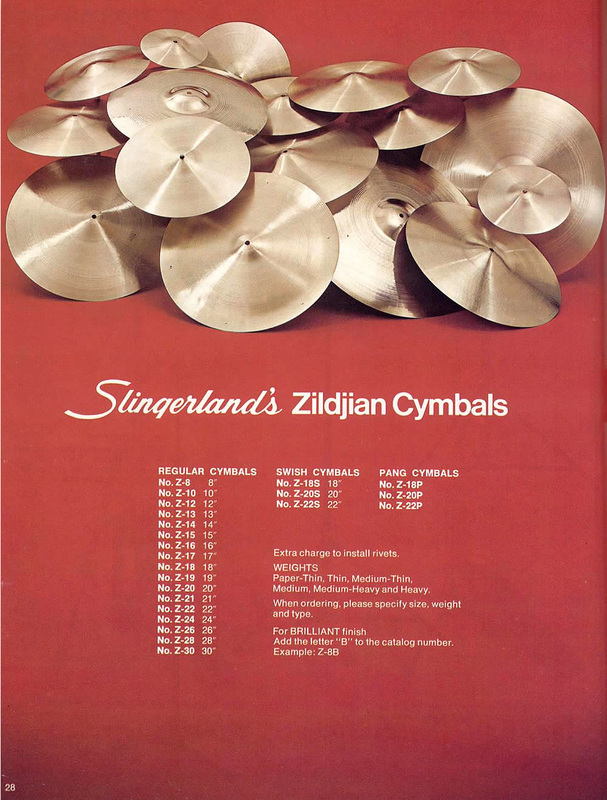 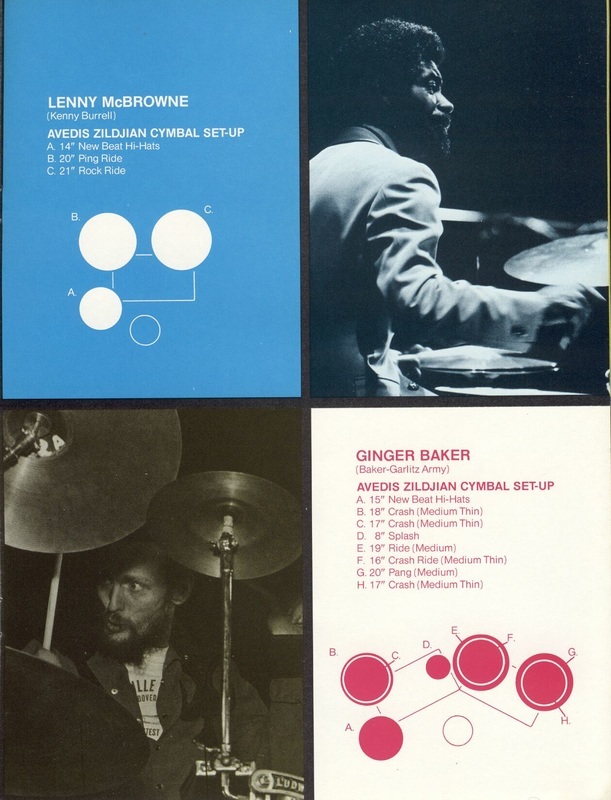 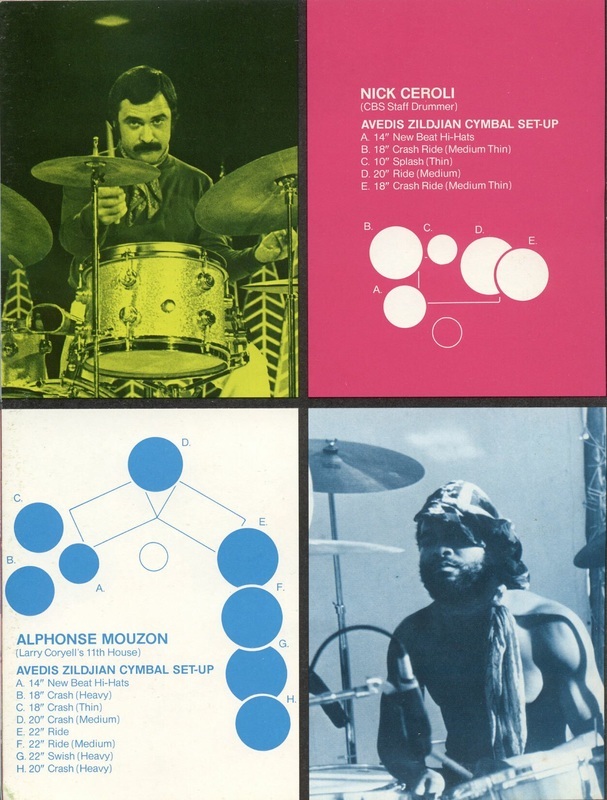 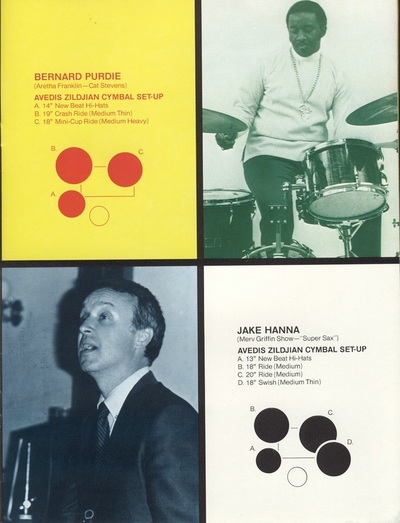 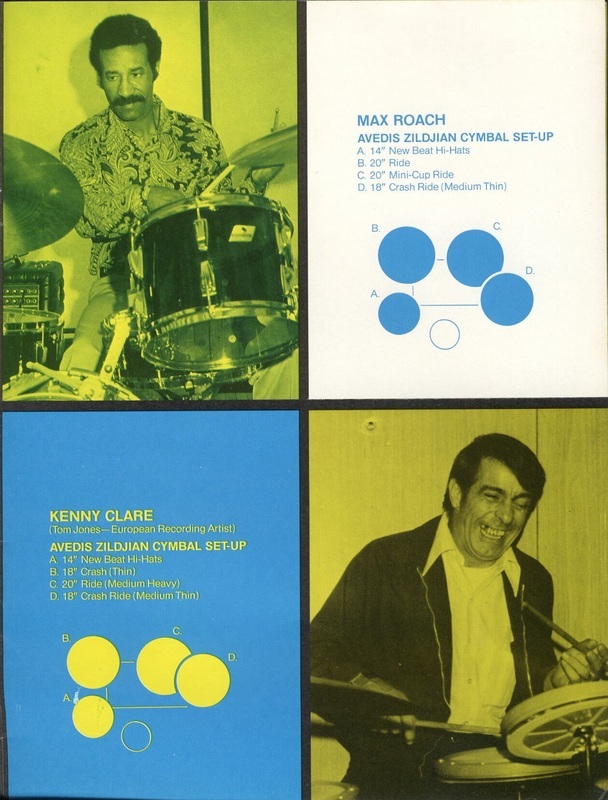 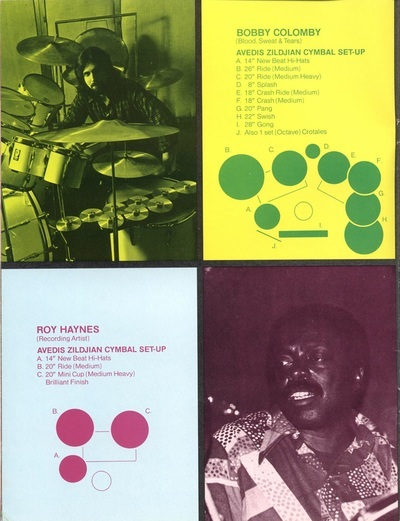 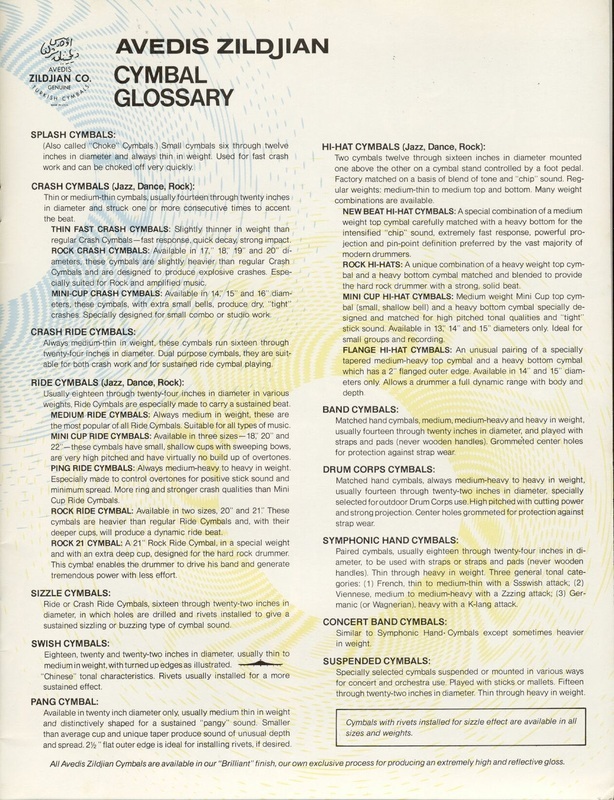 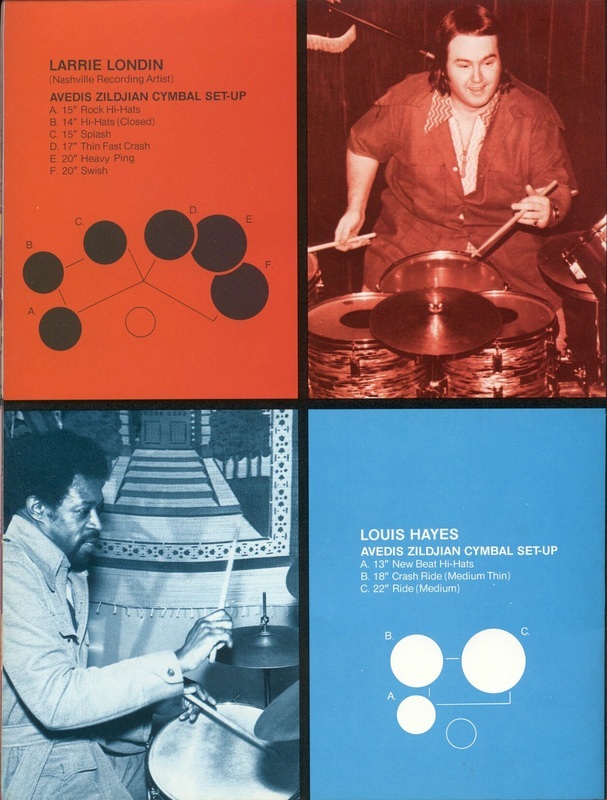 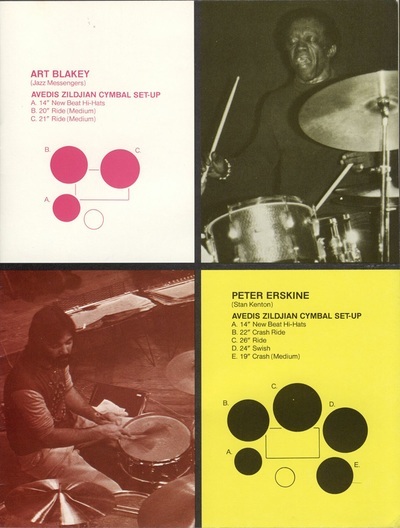 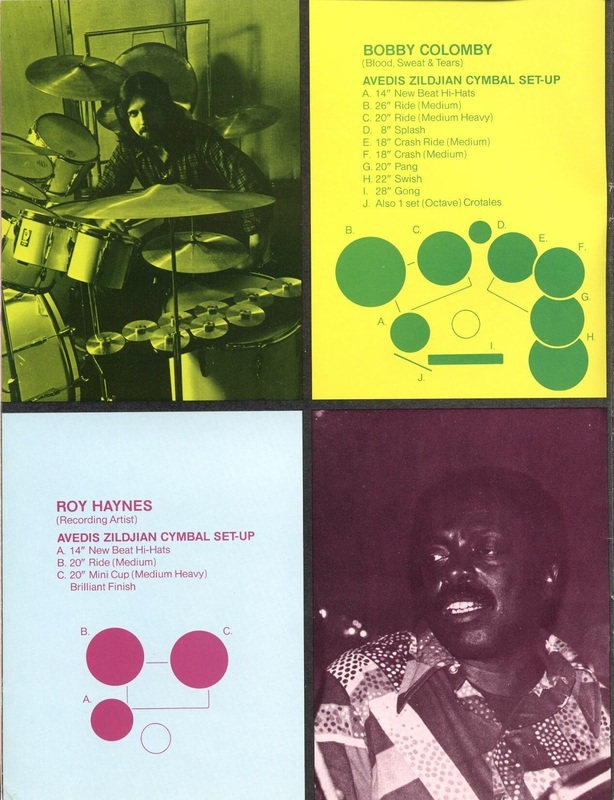 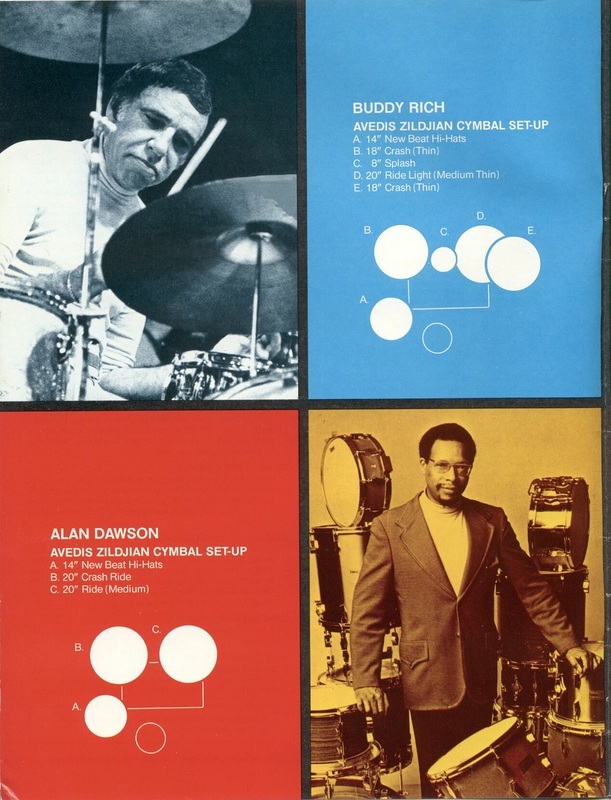 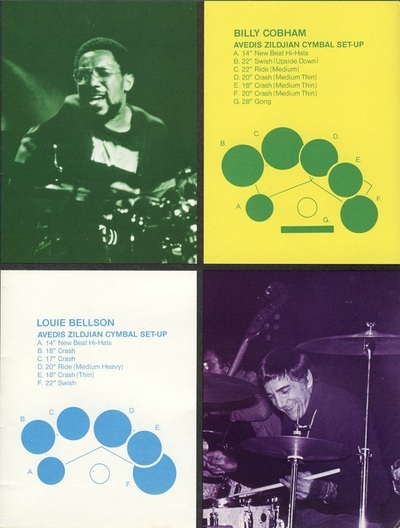 A narrow range of standard/common sizes were available (especially in the rental market), and two models of the same cymbal might have markedly different weights, and thus sound quite different. Reverse engineering cymbal sizes from Carly's photos (comparing to drum diameters), he seems to have used a fairly standard set up (14" hats, 14", 16", and 18" crashes). 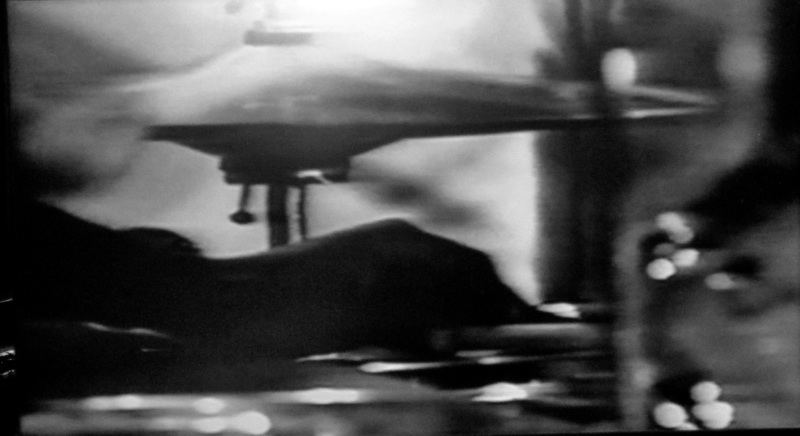 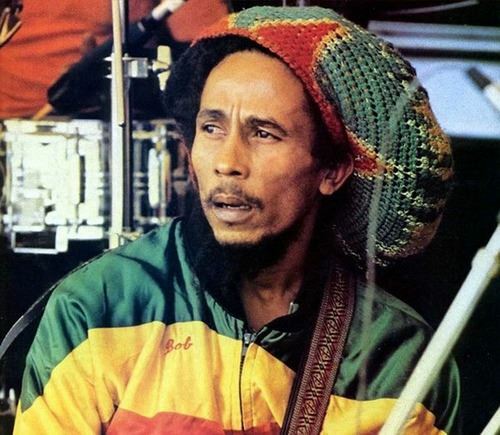 The pingy (ride cymbal-like) quality Carly gets on his over-hihat crash on songs like, "No Woman No Cry," indicates it is a medium weight crash (or heavier, like a crash/ride). 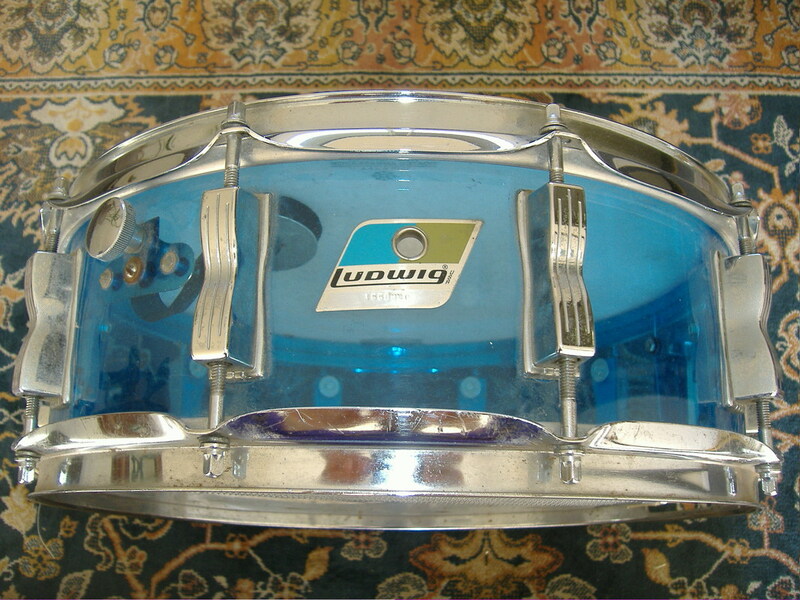 ​ auctioned in England Sept. 16, 2013, by Carly's son. 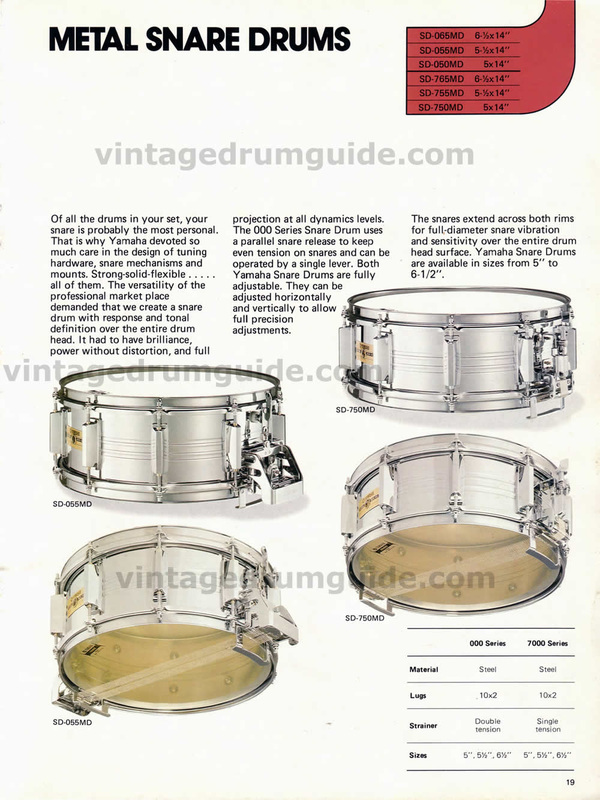 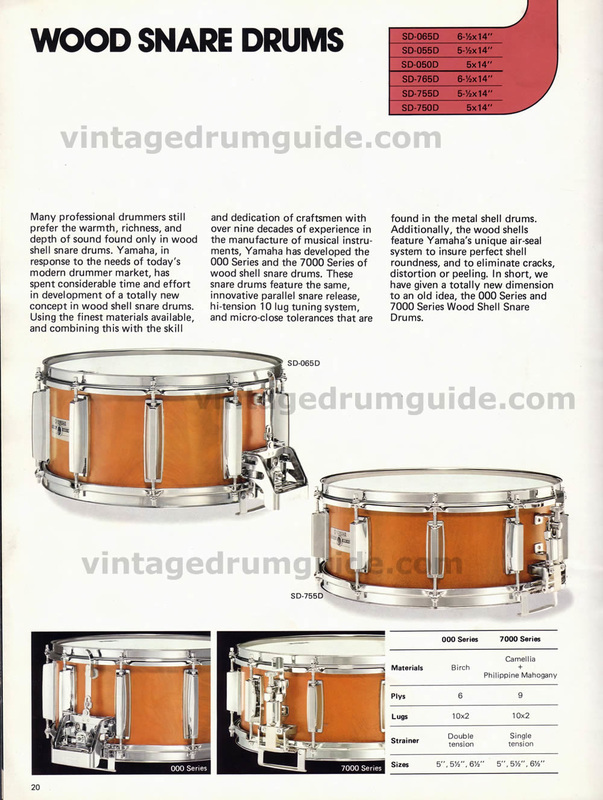 -it has rivets, and resembles the crash between the tom 3rd from the right and floor tom in the photo above from 1980. 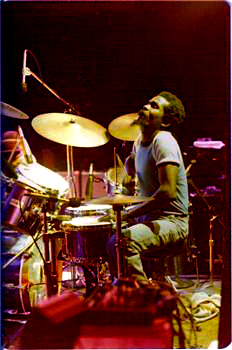 There is ONE documented example of Carly placing cloth (stage towel) between his hihat cymbals (Rainbow Theater, London, 1977). 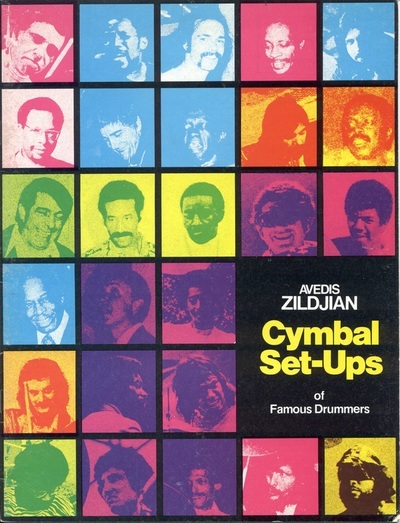 As we do not observe this elsewhere, it is most likely a fix for a particular set of RENTAL hihats that sounded too washy/loud for Barrett's syncopated hihat riddims. 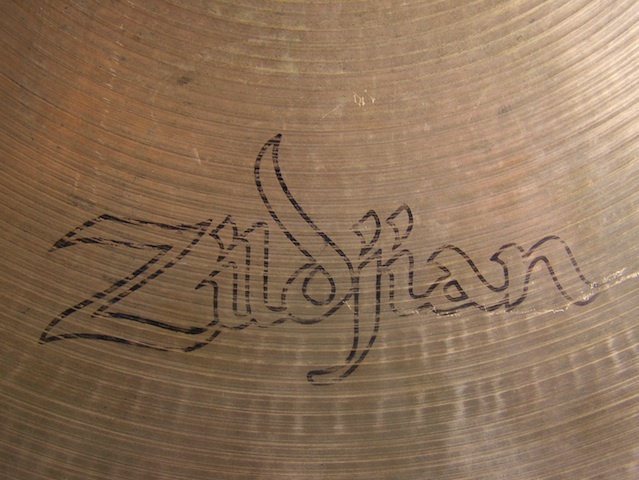 He didn't regularly modify his hats this way, so others must have been sufficiently dry.